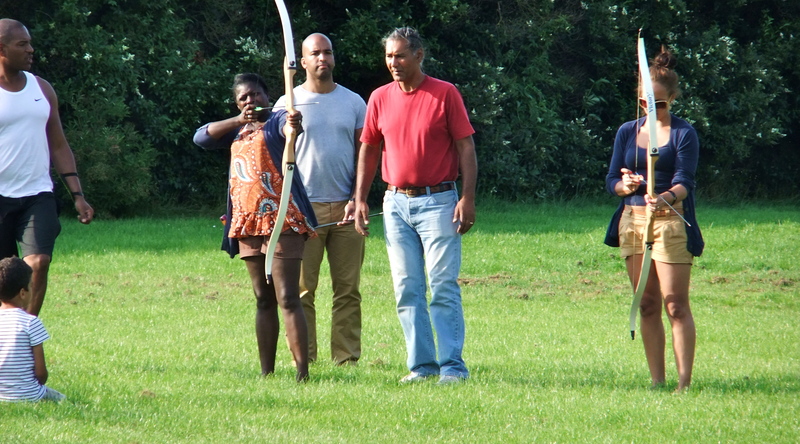 You will learn how to shoot a bow safely, enjoy affable competition with your friends and a great outdoor experience. Guided by John who is an experienced archery instructor you will learn and gain confidence on practice paper face targets before being re positioned to shoot various 3D targets using recurve bows. Depending on the group size (minimum 5 people), sessions last between 1.5-2.5 hours. The price is £20 per adult and £15 per child over 12 years old, supervised by accompany ing adults. (If you are a smaller group then 5 we maybe able to offer the session on an individual pricing basis – ask us for a quote). Respecting the obvious health and safety aspects of this activity, please read the archery terms and conditions which you will be requested to sign prior to commencing the session. This activity is pre bookable only and available between April and October. Call to reserve a session for your group on 01354 658737 or email us your enquiry to john@fourwindsleisure.com.